A new crop of Bears officially joined the team with the start of spring semester on campus today. The early entry and transfer players include linebacker Chris Fatilua (on left), who has made an inspiring comeback from an accident that left him unable to walk and a prognosis that left many questions about regaining full mobility. The San Diego linebacker is back working out with the team but whether or not he’ll be able to eventually return to the field remains to be seen. 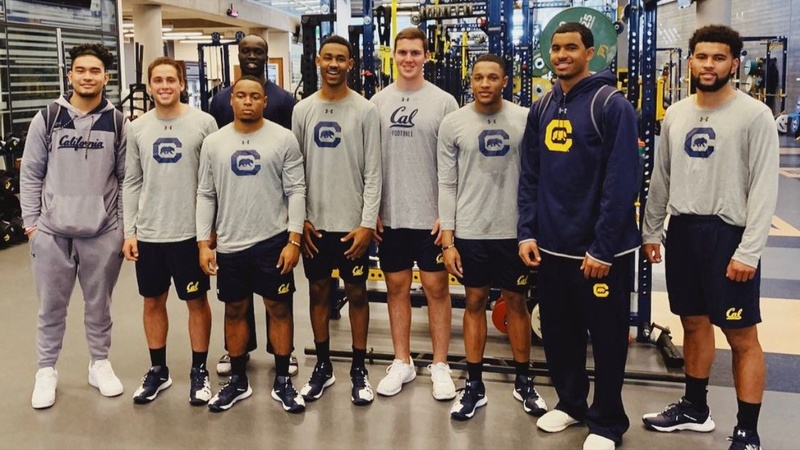 Also pictured (in order) are CCSF QB transfer Jack Newman, CCSF RB transfer DeShawn Collins, Independence CC LB transfer Kuony Deng, El Cerrito WR Makai Polk, Liberty DE Braxten Croteau, Penn State CB transfer Isaiah Humphries, Rainier Beach OLB Orin Patu and UCLA transfer QB Devon Modster.